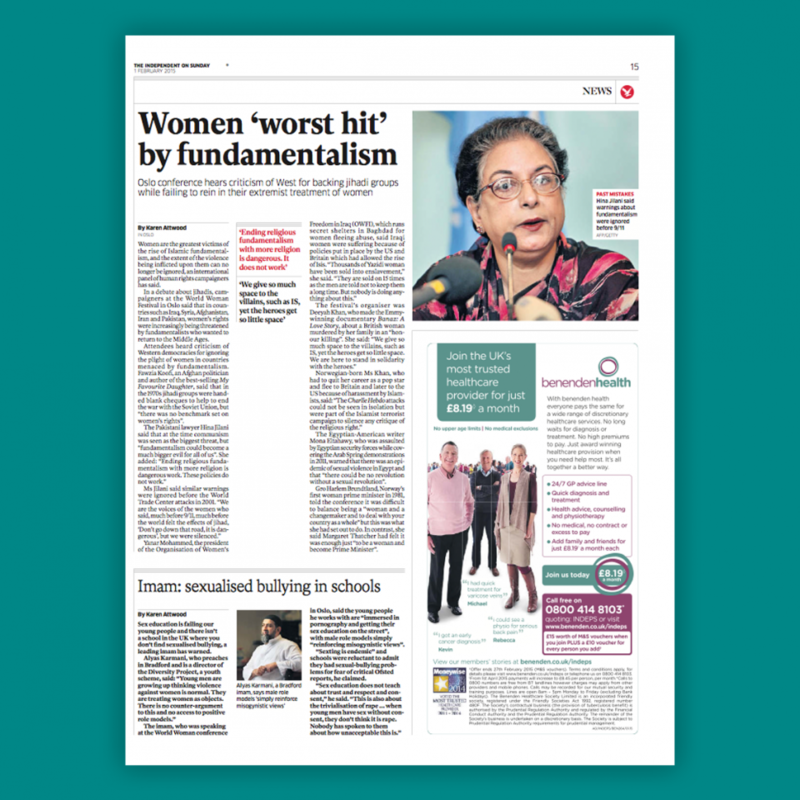 Women are the greatest victims of the rise of Islamic fundamentalism, and the extent of the violence being inflicted upon them can no longer be ignored, an international panel of human rights campaigners has said. In a debate about jihadis, campaigners at the World Woman Festival in Oslo said that in countries such as Iraq, Syria, Afghanistan, Iran and Pakistan, women’s rights were increasingly being threatened by fundamentalists who wanted to return to the Middle Ages. Attendees heard criticism of Western democracies for ignoring the plight of women in countries menaced by fundamentalism. Fawzia Koofi, an Afghan politician and author of the best-selling My Favourite Daughter, said that in the 1970s jihadi groups were handed blank cheques to help to end the war with the Soviet Union, but “there was no benchmark set on women’s rights”. The Egyptian-American writer Mona Eltahawy, who was assaulted by Egyptian security forces while covering the Arab Spring demonstrations in 2011, warned that there was an epidemic of sexual violence in Egypt and that “there could be no revolution without a sexual revolution”. Gro Harlem Brundtland, Norway’s first woman prime minister in 1981, told the conference it was difficult to balance being a “woman and a changemaker and to deal with your country as a whole” but this was what she had set out to do. In contrast, she said Margaret Thatcher had felt it was enough just “to be a woman and become Prime Minister”.